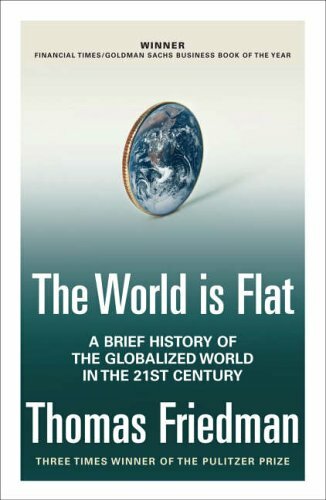 Thomas L. Friedman, New York Times "Foreign Affairs" columnist and author of "The World Is Flat: "History of the world twenty years from now, and they come to the chapter 'Y2K to March 2004,' what will they say was the most crucial development? The attacks on the World Trade Center on 9/11 and the Iraq war? Or the convergence of technology and events that allowed India, China, and so many other countries to become part of the global supply chain for services and manufacturing, creating an explosion of wealth in the middle classes of the world's two biggest nations, giving them a huge new stake in the success of globalization? And with this 'flattening' of the globe, which requires us to run faster in order to stay in place, has the world gotten too small and too fast for human beings and their political systems to adjust in a stable manner?"